St. Patrick’s Day is a week away and I still haven’t dug out my St. Patrick’s Day decor. I’m not sure if we will have time to put it out this year or not. 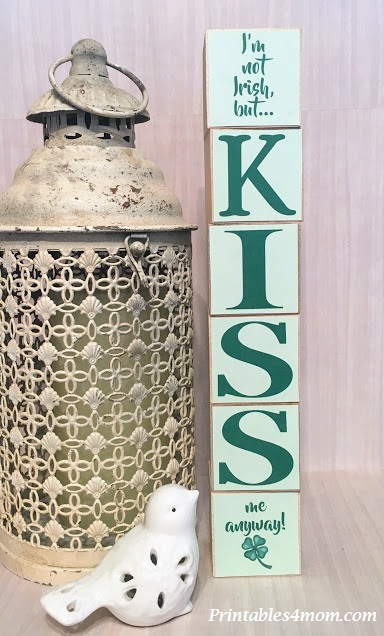 However, I do have these adorable Kiss Blocks out and on display! 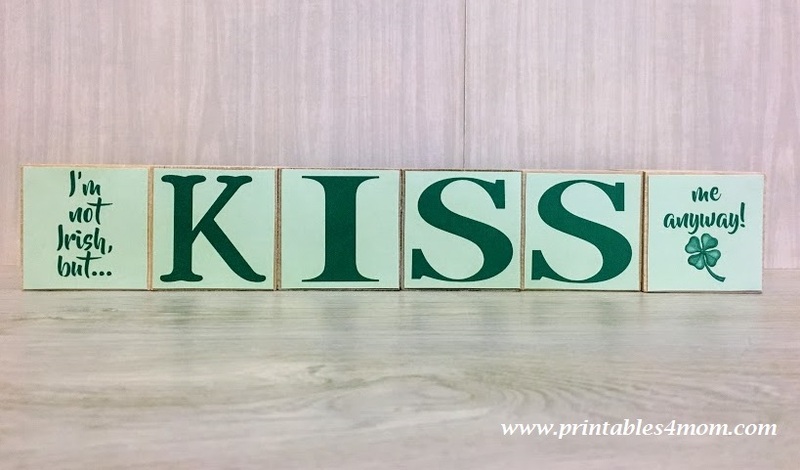 This St. Patrick’s Day Kiss block craft can be made in minutes using pre-cut wood, some glue and a free printable. Way back in 2012, I shared a quick and easy St. Patrick’s Day block craft. 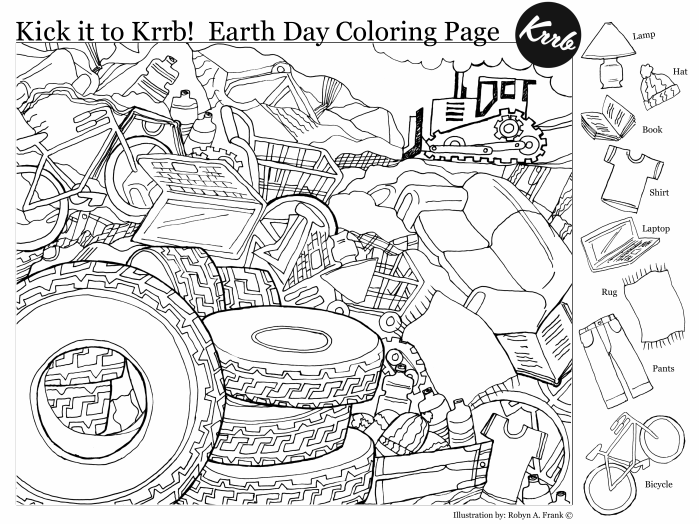 The original website is no longer active and the printable for that block craft is no longer available. I’ve had a couple of requests to recreate this block craft and I love the way it turned out. 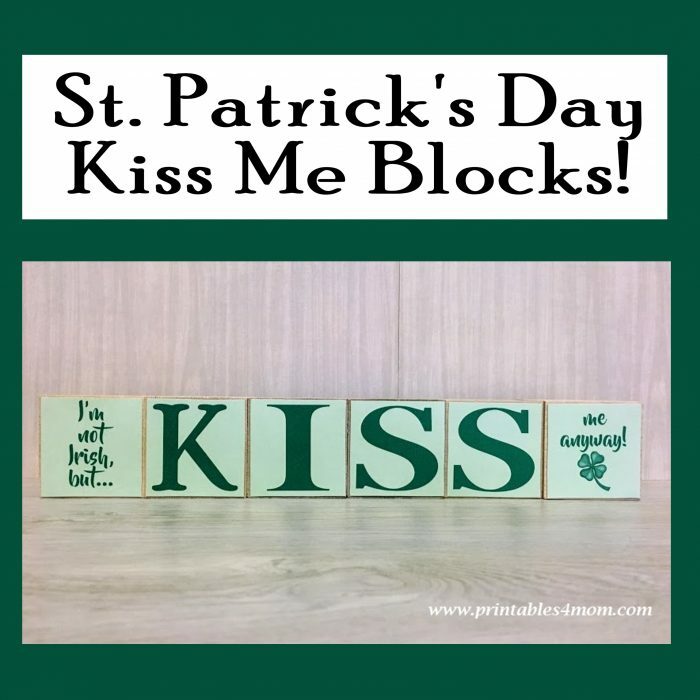 Irish or not, these St. Patrick’s Day blocks make a great addition to your holiday decor. I sized this printable to fit 2×2 inch blocks. You can cut them yourself or save time by purchasing precut blocks from your local hardware store or Amazon. I bought this bag of 10, 2″ wood cubes from Amazon and they were perfect for this craft. Plus, I have plenty left over for additional craft projects! You can paint or stain these blocks if you want, but I chose to leave them unfinished for this project. 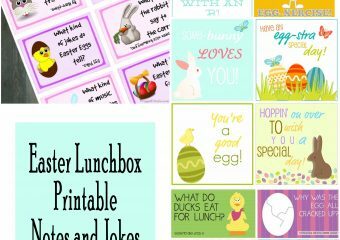 After gathering up your blocks, print out the free printable below using 8.5″ x 11″ white cardstock or heavy weighted paper. Cut out each square and simply attached to your blocks using Mod Podge. I’m slightly obsessed with adhesive glue dots at the moment and, while it won’t protect the paper it does allow you to throw this craft together in no time at all. Simple, right? 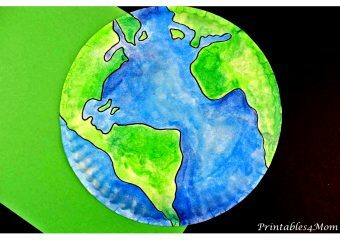 This St. Patrick’s Day craft is so easy, the kids can even create their own. Make a few extra sets too, as they make great, last minute gifts!